Now, the very first thing that we’d like to start off with is the official mandating of ELDs. The final electronic logbook device by the FMCSA was published back in December in 2015. The mandate has applied to cover more than three million drivers who are currently hitting the road. It is also important to be well-aware of the fact that this rule does not apply to anyone who is driving professionally – there are certain exemptions. Electronic logbook devices: what you need to know? Now, the very first thing to consider here is that this is a device that’s used by professional truck drivers as well as by commercial motor carriers to conveniently and easily track their HOS (Hours of Service) and to be FMCSA compliant. By the end of 2017, all CDL drivers are actually required to keep proper RODS (Record of Duty Status) and must use an ELD in order to conveniently record their HOS rules. There are quite a lot of different things that you would have to keep in mind when it comes to the pricing of the ELD. In order to prepare for the mandate’s passing, the FMCSA managed to go ahead and examine a range of HOS logging devices on the market in order to set a proper benchmark for the approximate estimations in terms of the costs that the truck companies or drivers are expected to pay per year annually. So, the results were rather interesting. The ELDs ranged from an annual price of $165 right to $832. The most demanded device currently is priced at $495 per truck. This is actually a trend and it comes with quite a few economic benefits. There are quite a lot of paperwork reductions and a lot of different researches show that the ELD driver would have substantial long-term saving compared to keeping those logs in a manner that was held previously. This is an important benefit. further, the mobile technology have improved and advanced tremendously. 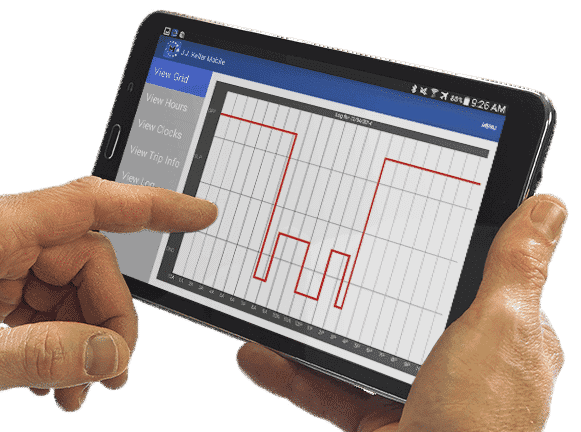 ELDs could now be run on smartphones as well as on tablets. Previously, they were only available on a fixed hardware– On board. The start-up cost for a electronic logbook device decreased significantly. Regardless of the business size, the return on the actual investment is positive. Every business owner can recognize the ROI. These are solutions which shave off a tremendous workload off a lot of administrative personnel, hence increasing the effectiveness of the overall process. Therefore, it is safe to conclude that using ELD produce significant cost saving. Now, it is also important to note that the FMCSA has not recommended general prices. In the past, the prices of ELD devices were not reasonable. Now it is, quite a lot of different. They are many providers. The increase competition reduced prices. Also some manufacturers offer less expensive systems. Those are simple unit which have only the necessary features designed to abide by the mandate for the electronic logbook devices. This is something important. A manager would be able to monitor the excessive idle times or the speeding events. In addition , the manager would be able to adapt incentive programs based on those statistics. Those programs, if built, will enhance the driver’s driving behavior as well as increase the fuel efficiency. This is some serious saving. Keep in mind that this is per year and per one driver alone. Imagine the amount that a fleet which operates hundreds of trucks would save in the next 5 years. The benefits do not stop there. Complying with the ELD mandate could also get you to satisfy a range of other regulations as well. These include DVIR as well as IFT regulatory compliance. The lower crash numbers are very important metric to watch out for. Based on the information provided by the Center for Truck and Bus Safety, drivers who had implemented e-logs actually went through 11.7% less accidents, compared to those who didn’t have it implemented. This is something absolutely substantial. Unlike the previous generation of electronic recorders ,ELDs are quite easy to install . One of the main drawbacks with Electronic Logbook is the learning curve. However,it is not something that should actually stop you from making the move. The primary reason that ELDs are actually easy to learn. Once the driver gets over the learning curve, implementation would be easy. The trucking company could then take full advantage of those devices. Conclusion : Electronic Logbooks Are A Must! As you can see, there is quite a lot of merit to taking advantage of comprehensive devices of the kind. The above advantage carry great importance that they should advance your electronic logbook decision. ELDs have disrupted the trucking industry and this is a positive change. Through the implementation of comprehensive technology, drivers no longer have to manually log their HOS and mileage as well. This is absolutely substantial, resulting in a serious amount of savings throughout time. The short-term as well as the long-term benefits are absolutely obvious. It is definitely something that you ought to keep in mind and take into account when it comes to it. If you’re getting your fleet geared up to meet the requirements of the ELD mandate, then you’ll need to start by looking at electronic logging device reviews. We’ve reviewed what are considered to be some of the best ELD manufacturers that will help you make the decision as who which ELD provider to go with. While reading through these electronic logging devices reviews, keep in mind that not every device will work for every company, even if it is a great device. The top pick on our list was an easy choice for several reasons. KeepTruckin ELD was the first device to completely meet all the requirements of FMCSA’s ELD mandate. Many of the other devices on the market today aren’t technically compliant yet as they are still working on updating their software to get to that point, giving the KeepTruckin ELD a clear advantage here. This ELD device takes the second-place spot on our list because it goes above and beyond the call of duty when it comes to providing features to drivers and fleets. Although their monthly fees are lower than that of many of the other ELD providers, they also have a higher up-front cost. Overall, though, this is a great option for fleets looking for immediate FMCSA compliance. With no up-front cost, this is one of the best ELD devices on the market today. Unlike many of the lower-end ELD devices that are only self-certified before being registered with FMCSA, EROAD had had their device independently-tested by the PIT Group research firm to ensure compliance. That fact alone should assure you that by choosing this device, you’ll be fully FMCSA-compliant. Truth be told, if you’re looking for the best ELD device on the market, then this is the one for you. However, it falls this far on our list because of the hefty price tag that it comes with. Since PeopleNet have been making electronic logging devices for nearly 15 years, they’ve had plenty of time to perfect their devices and services to provide you with the best, if you can afford it. – Designed to offer a number of features while still being easy to use. This is likely the best option for smaller fleets, and makes our list because it’s not only one of the least expensive devices on the market today, but it also has all the features necessary to be compliant with the ELD mandate already. Although it’s currently a bit light on extra features, it’s a great way to be compliant on a lower budget. What many users of the BigRoad DashLink love about it is how easy it is to use. In fact, this ELD device has one of the highest user ratings on the market today, and it’s easy to see why fleet owners prefer it, as well. It’s one of the most affordable options that you can find and although fairly basic, it covers all its bases to be completely FMCSA-compliant. If you are a fleet manager who’s worried about how well your drivers will adjust to using an ELD, then this device is certainly worth looking into because of how similar it is to the GPS devices that many drivers are already used to using. When you combine that with the low monthly costs, this ELD device just makes sense for many fleets. When it comes to choosing the right ELD device for you or your fleet, you need to consider more than just the price. You’ll also want to consider how easy the device is to use, which will save you and your drivers money and help you avoid frustration as you adjust to a new system, and what features you want. Many of the extra features will help you better track how each truck is being used, which can help you save money, often making the higher monthly costs more than worth it. The Electronic Logging Devices price points vary depending on many different factors. Many fleet owners, owner operators and truck drivers are all looking to purchase electronic logging devices. Those devices are not to be confused with Elog Devices. Those new electronic logging devices come in many different sizes and with many different features, and of course different price points. Also, those devices may use different platforms. While one should check out the Electronic Logging Device Feature Comparison Guide. This guide is attempting to sort out the price differences between the different devices. The electronic Mandate approved by the FMCSA is going to make everyone’s life a lot more difficult. The last thing we would like is for those hard working people to get cheated out of their money as well. We compiled the following list of ELD devices (the most popular ones at least) along with their prices. There are couple important elements to keep in mind when evaluating the prices of electronic logging devices. Many of these electronic logging devices are listed as free. While the sound of FREE device is very appealing, there is a catch. The catch is the big old CONTRACT. The the customer will get the devices installed for free. However, the customer must sign up for a contract. The length and requirements of each contract varies by service provider, so you’ll have to make sure you check with the provider for more information about contracts. It could also mean that they only offer leasing options, so you may have to pay a monthly fee for leasing their devices in addition to the monthly service fees. In most cases, if there is no price listed for monthly fees, it means that the provider only offers ELD devices, and has no monthly service plan options. 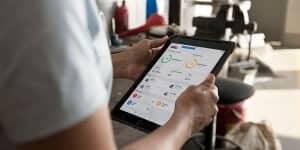 This works because many of the Electronic Logging Devices service providers have a bring-your-own-device (BYOD) option for their service plans, which allows you to connect a different device with their service, something that can save you money in the long run. J. Keller & Associates, Inc.
Focus Fleet & Fuel Management, Inc. Although we did our best to provide you with the most accurate electronic logging devices price, we cannot guarantee the accuracy of this information as costs for both the devices and the services can be changed at any time by the company that makes them. Please make sure you are reading the fine print when looking into ELD devices to make sure you know exactly what you’re paying for and for how long you will be paying it. Eld For Sale – Which Eld device to buy in 2019? Eld For Sale – Which Device to Buy ? A Mandate is never a good thing. No one like to be forced to do something, specially not truck drivers. Truck drivers spend a lot of time on the road under harsh conditions many times. However, they always enjoyed their slice of freedom– they were in charge of their own schedule. Unfortunately, this piece of freedom is going to go away with the Electronic Logging Device Mandate. Many fleet owners and truck drivers are so caught up in making a hard living that they had no time to find out what the mandate is all about. In this article we are going to review what exactly the government is going to mandate and how would it affect the transportation industry. If you own a shipping company, then the ELD mandate is something that’s going to affect you and your business. It’s important that you understand exactly what it is, what it’s going to do, and what it means for you. We hope to provide you with all the information that you need to understand the ELD mandate. What is the Electronic logging device (ELD) mandate? The official name of this mandate is the electronic logging device rule. The final version was published by the Federal Motor Carrier Safety Administration (FMCSA) in December of 2015. Although there was quite a bit of stalling and mixed information about whether the mandate would come to be and what exactly it would entail, it is now official. The rule will become enforceable effective December 18 2017. The ELD mandate came about because of a bill enacted by the U.S. Congress in 2012. This bill, known as the “Moving Ahead for Progress in the 21st Century” bill, included new criteria for funding highways as well as a demand that the FMSCA mandate all commercial trucking vehicles to use ELDs. The idea behind the bill was to push the use of modern technology in a number of areas. In order to remain FMCSA-compliant, fleets must add ELD devices by December 2017. For fleets that already have some type of ELD devices in their trucks, they have been given until December 2019 to go through the specifications to make sure that what they are using is FMCSA-compliant and to make any changes as necessary. An ELD is an Electronic Logging Device. It connects with the computer system in the truck to record everything about the truck. Specifically, they are designed to provide information about the driver’s Record of Duty Status (RODS) that shows whether or not they are complying with Hours of Service (HOS) requirements. This will replace the paper logbook that many drivers currently use. There are a number of ELD devices and providers on the market today, which means that every fleet owner is sure to find one that will work best for them. Many ELD providers offer free devices and installation when you sign up for a service plan with them for a certain period of time. Others charge both an up-front fee and a monthly maintenance fee for their services. Is an ELD for sale device the same as an AOBRD? To avoid the time and work that goes into doing paperwork, many fleets and drivers are already using Automatic On-Board Recording Devices (AOBRDs). They are similar to ELDs because they electronically record a driver’s HOS and are integrated into the truck’s engine to get accurate readings. Many of them also allow the fleet manager to get real-time updates about the driver’s status. 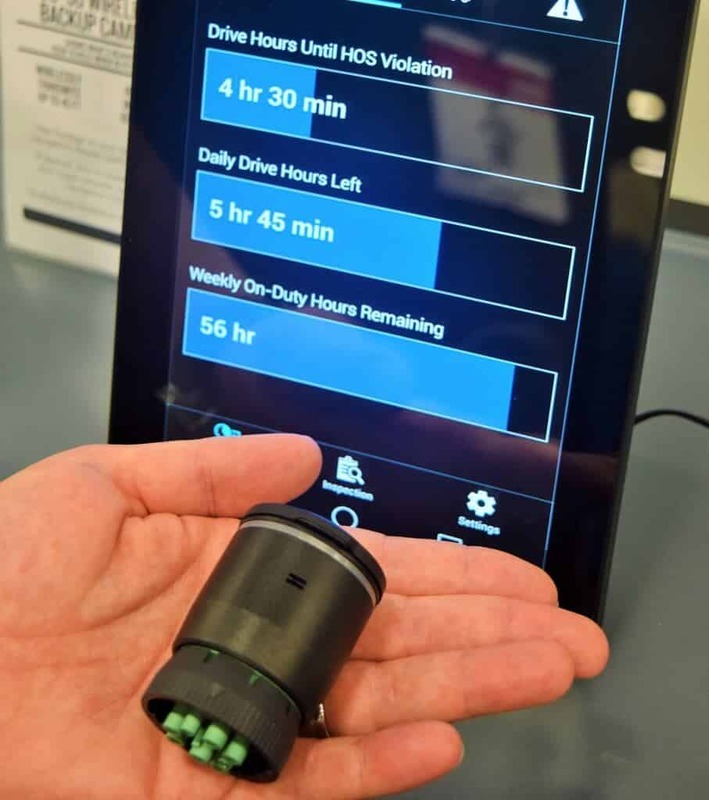 Because these devices automatically record changes in status and the amount of time a driver is operating the vehicle, they do meet the standards of rule 395.15 from FMCSA. This means that if you are already using AOBRD devices, you are already compliant with parts of the ELD mandate and have until December of 2019 to install new ELD devices that completely comply with the mandate. 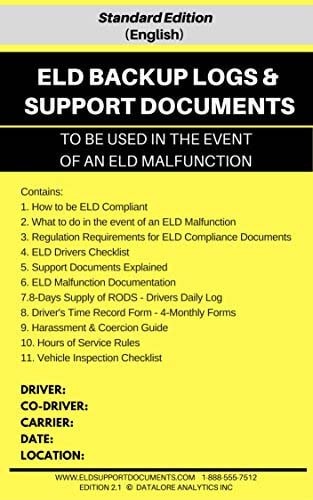 Is an ELD the same as an EOBR? 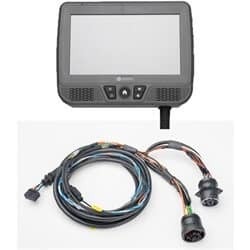 An Electronic On-Board Recorder (EOBR) was a term used by the FMCSA starting back in the early 2000s to describe any electronic device that was connected to the truck and recorded driving information. In 2012, when legislation went through that led to the development of the ELD mandate, this term was abandoned, and ELD was used instead. If you are already using an EOBR, then this is likely to be an ELD device, and you may already be compliant with the ELD mandate. Be sure to double-check to make sure that the device you’re using in your trucks is fully FMCSA-compliant, and you might not need to make any additional changes to what you’re doing. What Does the ELD Mandate Mean regarding Eld For Sale Devices? You of course have the choice to not install ELDs in your trucks, but this would mean that your fleet has become non-compliant with FMCSA regulations, and this could seriously hurt your business. Most businesses are looking for shipping companies that are FMCSA-compliant and are willing to pay more for these shipments, which means if you aren’t compliant, you could lose or miss out on a lot of business. Installing ELD devices into every truck on your fleet will not only ensure that your business stays strong, but it can actually help you cut costs for several reasons. ELD devices can warn drivers of upcoming traffic problems and closed roads which allow them to save valuable time by finding an alternative route. They can also help your drivers find shorter routes in general that will save you money in gasoline. Some other ways that ELD will improve your fleet are by providing better maintenance information and scheduling, saving drivers time at checks and managers time in general because of reduced paperwork, and better ability to address problems such as excessive idling times and hard braking that will help you save money on both gasoline usage and needing to replace brakes sooner than necessary. Should Fleet Owners Wait to Comply With The ELD Mandate? Even if you are part of the group of fleet owners that have until December 2019 to comply with the ELD mandate, there’s no reason to wait to comply because of all the additional benefits you gain from using ELD devices in your vehicles. This is why many companies have already made the switch to ELD devices and are now enjoying the many benefits. One of the biggest benefits to making the switch sooner than necessary is that it will give you plenty of time to consider which ELD device and provider is right for you and your fleet. Because there are so many available, this is a process that will take time, since you want to make sure you’re getting the best possible service but at a price that you can afford. Bellow Are the top 3 electronic logging devices(eld’s) . It is important to understand that we make the recommendation based on general information. Each Driver will like a different device. Each driver will benefit from a different device. THEREFORE, WE RECOMMEND FILLING OUT THE FORM BELLOW. WITH YOU (FREE OF CHARGE) ON GETTING THE RIGHT DEVICE. There are many great things about the Keep Truckin ELD. For example, the fact that it is super user-friendly. However, the most attractive point is obviously its price. Keep Trucking ELD device offer monthly pricing like most eld units. Therefore, you might be waiting for us to tell you the upfront cost of the product, but there is none! Instead, there are only monthly installments of a mere $35 that you have to pay to Keep Truckin over three years. At such an affordable price, it would be crazy not to buy the product! It has the easiest method of driver log editing of system seen. There is simple view of recap hours which is to be gained for the next 7 days. There is a suitable DOT Inspection Mode, which shows a log history to the enforcement officers. The logs are able to be faxed or emailed from the app. Two-way messaging and DVIR are available. Drivers are able to take photos of accident damage, paperwork or any other thing and send in the images via the app. Its back office is easy to use plus it’s modern. It has the standard features such as; messaging, GPS locations and an overview of the HOS compliance. DVIR reports and basic HOS are included. The driver’s log can be viewed by the office personnel and make suggested corrections easily, although the driver will need to authorize the changes for them to be effective. The device is designed to last. The 2.5 oz. cylindrical device is incased in a sleek black outer shell. The device data is accessible both from USB and through Bluetooth for quick sharing. The eLog™ also connects and can share driver data with a variety of Garmin GPS units from the dēzl™ series. This means that the driver can receive personalized updates and reminders for breaks and remaining time, all integrated as well through the smartphone/tablet app. The eLog™ costs about $249.99 through the Garmin website. While Garmin currently has only one model of ELD, there are several different Garmin GPS models compatible with the eLog™, each ranging in price from $299.99 to $499.99. This gives the Garmin a highly personalized experience, giving priority to driver ease with a friendly user-centered experience. For smaller fleets they pay up front for the first year. In other words KeepTruckin is an attractive option, especially for the fleets who want an easy installment plus low cost. Its system is easy to use for the drivers and the office staff. Not to forget the list of its advanced features that is above its competitors. This service seems more fleet-centered than driver-centered. The ELD device itself is relatively easy to install. However, it can only hold up to one day’s worth of data at a time, compared to EZ ELD’s six-month data storage capability. This means that Rand McNally’s ELD 50® relies completely on the software subscription to function. Also, if android phone does not connect within that one-day window, then the data does not back up and earlier data is deleted. This can present difficult situations if the driver were ever to lose his phone or android device. 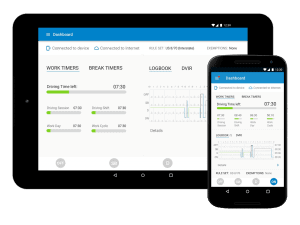 On the bright side, if a subscription is purchased, the online portal supplies storage for all data, timesheets, and metrics, making up to 6 months’ worth readily available from any android device. So, while there are many perks to Rand McNally’s ELD, if you decide to go with this device be prepared for the possibility of some unknown costs. If you are serious about using Rand’s services, perhaps the best idea would be to reach to contact them directly and get a quote. WHAT ARE Electronic Logging Devices ALL ABOUT ? An ELD (Electronic Logging Device) hooks into a commercial driver’s engine and logs their hours of service on the road. There are many different types of Electronic Logging Devices on the market, but the goal is the same. It is meant to replace paper logbooks and includes other electronic components that make the elements of commercial driving more efficient. By reducing time spent logging hours on paper, saving drive time and fuel costs, and allowing dispatch to see a driver’s status in real time, ELDs solve many inefficiencies that the commercial driving industry faces today. Currently, not all commercial drivers have implemented the use of ELDs. 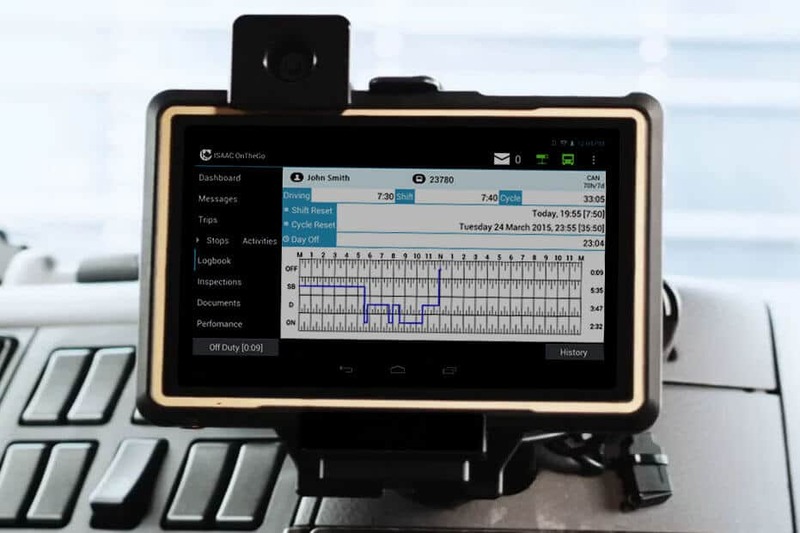 The evolution of the rules regarding the use of ELDs has made it difficult, and some carriers previously used similar devices to harass truck drivers. With new mandates, it will be easier to implement and follow going forward. Be connected to the truck’s engine so that it’s able to record when the truck is in motion. Graphically show a Record of Duty Status, allowing the driver to see the hours in a day. The device ought to meet proper specification as a result it should be provider certified. Allows a driver to log in and be able to select On-duty, On-duty Not Driving or Off-duty; the drive segment needs to be automatically selected with the vehicle movement. The ELD tracks the hours a truck driver is on the road plus the location of the truck. It will replace the paper logs which the drivers are required to have. ELD does not allow any deletion of the driving time plus it ought to be tamperproof. Therefore, it allows the FMCSA to use the electronic data to track a driver’s compliance to the HOS rules. Specifies who is covered by the rule and who is an exception to it. 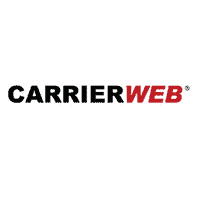 Includes a phased implementation timeline to give the drivers and carriers time to comply. 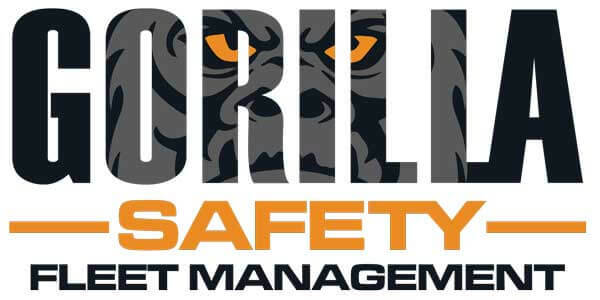 Creates standard data display, data transfer processes, therefore, making it easy to demonstrate compliance and faster for one to share RODS with the safety officials. Includes technical specification which ensures the ELDs are compliant and standardized. Includes provisions that help to prevent harassments of the drivers and data tampering. With ELD you are able monitor idle-time tracking of your driver. Hence, you are able to identify drivers who idle frequently plus for how long; consequently enabling you to save thousands of dollars, as you are able to track the excess idling thus reducing fuel wastage. Identification of reckless driving behavior. ELD allows you to track your drivers driving behaviors. Are the driving behaviors bad such as; speeding, excessive acceleration and hard cornering. Having known the bad behaviors of your driver, you are able to approach them. The identification of such drivers will result to reduced fatal accidents; as with the ELD you have known the problem that you are able to attend to it. Fleets with ELDs tend to get significantly a better insurance premium. 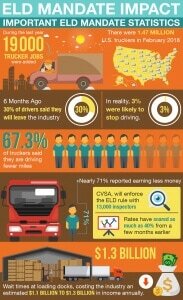 This is because; with ELDs the fleet safety is increased. Therefore, leading to insurance companies offering better rates than when fleets did not have ELDs. Also with ELDs which have GPS tracking features, there is a lesser risk of hijacked or stolen vehicle; as a result leading to the insurance companies offering the low insurance rates. Fleets that have ELDs are considered safer than fleets that do not have ELDs. The FMCSA estimates that with ELDs 26 lives will be saved and 562 injuries prevented every year. Know with ELD we have: GPS tracking, efficient route management, lack of driver’s fatigue, fault-code monitoring and the timely identification of poor driving behaviors, all this help to prevent the numerous road accidents. With ELD you do not need administrative staff, this reduces the operational costs. With a decreased liability plus better insurance rates, the balance sheet gets a positive impact. Fleets will be able to improve on driver retention rate with proper drivers’ management. Not to forget with idle-time tracking, vehicle fault-code monitoring, route management, reduced fuel wastage and IFTA calculation among others; fleets are able to reduce the cost of operations which results to higher profits. Small firms are at a loss, with the new regulations it makes it difficult for them to be able to afford the new devices, plus being able to continue paying for the expenses. Opponents argue that the ELD reduces productivity by cutting down the miles to be travelled. This leads to an increase in spending through hiring more drivers to haul freight. Drivers are opposing to be micromanaged by having their every movement electronically tracked. 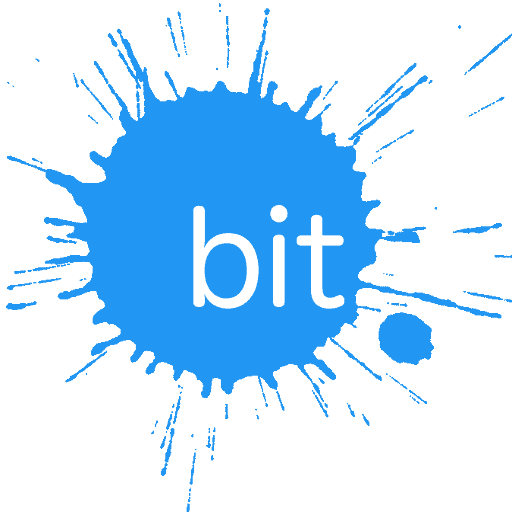 Blue Ink Technology (BIT) ELD device has adopted the unconventional pricing model. It is one of the few devices in the market to offer no monthly ongoing fee payment. The device is bought at $295; there is no monthly cost or contract. This is appropriate for small fleets or independent drivers who do not want the ongoing service plans offered by most the electronic vendors. BIT’s pay-once pricing, makes it very cheap in the long run compared to other devices in the market. Buy a dongle from Blue Ink which plugs into the truck’s diagnostic port. You can then use Bluetooth to pair it with your tablet or smartphone, cellular data is required. An estimated amount of $10 to $15 per month will be required, if you are planning to provide one of the fleet the data plan and the device. The BIT offers a lot of ELD mandate compliance that does not need accompaniments. You can download the free driver app for iOS and Android devices. It’s simple and quick to navigate and sign into the account. With just the app, drivers are able to make manual log status change, but for the system to be a true ELD. Bluetooth dongle is required to automatically record the truck once it is moving. Drivers can either accept suggestions of correction from the fleet managers or make their own edits to the logs. It also has recently released vehicle maintenance track, they enable alerts to be set for tire replacements, routine maintenance tasks and oil changes. BIT ELD low costs make it worth a look at, it is more suited for small operators. It’s a user friendly ELD at an unbeatable price. Omnitracs is known as the best player in ELD industry. In 2016, they gave an announcement on Intelligent Vehicle Gateway (IVG); as their future telematics product line. With the IVG as their flagship, it’s a reason to make fleets have a serious look on them. They also have a quicker installation, more affordable price tags and some innovative features. IVG is not only a one device but it’s also a one cable solution. Its standard installation involves removing of some dash panels in order to attach a back-plate. That can be used for screen mounting; also for connecting the device cable to a diagnostic port which is behind the dash. This process of installation is quicker and much easier for older MCP units. Send and receive dispatch messages. The IVG contains a voice command system which is like that of Apple’s Siri. By saying “Hello, Omnitracs”. A driver is able to issue different kinds of commands such as adjust brightness settings. It’s easier to install as it’s only one device and one cable. When it comes to Omnitracs products IVG is the new great step. With IVG, there are features and reliability which makes Omnitracs the industry leader. This device is one of the all-around high-quality devices on the market at the moment. Its hardware is reliable and sturdy; its software on the other hand is easy to use, it’s able to capture information accurately. There prices are affordable plus there are cheaper systems available. EROAD is set apart from other devices as they are committed to being 100% ELD mandate compliant. The device is submitted to be independently verified by the PIT group, this is a transport technology testing firm. With the PIT the EROAD system is put under rigorous testing process, that uses real drivers and real trucks; therefore, ensuring the product to be able to meet every line of ELD mandate. EROAD is the only device known to have gone through an independent testing. It’s a dedicated all-in-one device, which has a single cable that is used to plug into the vehicle’s diagnostic port. A well designed user interface that you can hardly notice. It has a small keyboard, which makes typing a bit hard for large fingers, although minimal typing is required. EROAD is indeed a top notch ELD device. It will become more appealing with time as more features are added onto it. If you are looking for a high-accurate tracking, durable-all-in-one system which has a bullet-proof compliance; look no further you have found it. The team at Pedigree Technologies distinguish themselves by committing themselves to fully understand the ELD mandate plus meeting its entire requirement. The Pedigree OneView platform allows log information importation from the other systems which uses FMCSA standard file in log format. This feature is especially hardy in mixed fleets that use a combination of ELD systems. 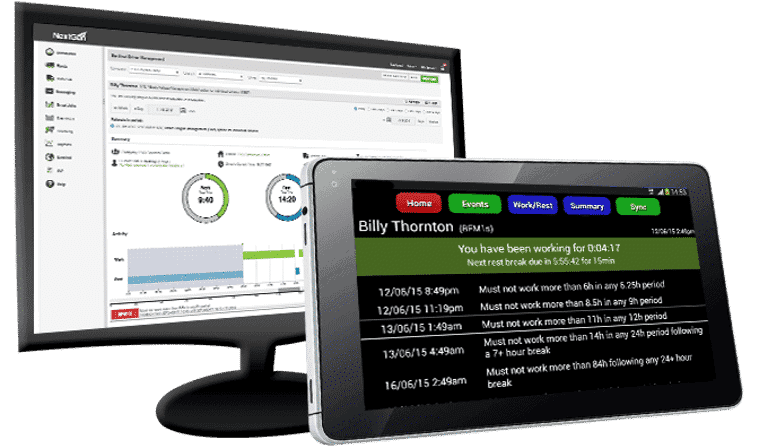 Managers are able to keep up with their fleet due to a large customizable report, alerts and dashboards on the back office interface. It supports optional external sensors which monitor everything, which is from the tire pressure to the reefer temperature to the tanker volume. It has a host of fleet management capabilities such as; DVIR, engine diagnostic, IFTA tracking plus safety alerts. It has excellent unique hours of service tools. ELD Chrome from Pedigree Technologies is among the flexible plus full featured ELDs; that are on the market. With the HOS tools that are designed to make the life of the carriers or drivers easier. They are worth a serious look due to their; unique features and Pedigree’s focus on the full compliance mandate and its customer support. When it comes to choosing the ELD that you need, be very diligent, this is because in the event that the ELD is decertified, you will have to find another ELD. This requires money and more time. 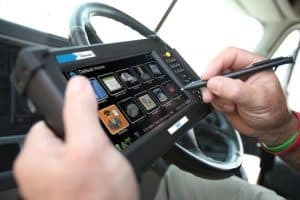 Most fleets tend to think that ELDs are a solution to the FMCSA’s ELD mandate compliance; but in real sense they are more important than that. 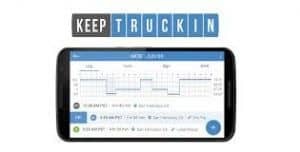 Indeed ELD were introduced primarily for FMCSA’s ELD rule compliance, but due to telematics solutions, for instance KeepTruckin ELDs are not only more powerful but they serve a lot of different purpose. For instance: maximizing profits, increasing productivity plus exploring new business opportunities. Trucking companies are also able to grow faster with the information from the ELDs, as the set of right data enables you to explore opportunities. ELDs (Electronic Logging Devices) have already become a major part of truck driver’s work. They are used to track their hours of service and to ensure that everything is handled as per the highest standards. However, they have to be FMSCA approved. Have you wondered which the best ones are? Let’s have a look. This is one of the most comprehensive electronic logging devices. FMSCA approved, it guarantees compliance and efficiency. The application is configured in a manner which alerts the driver if there are any upcoming violations at certain intervals which are measured. It also provides serious flexibility when it comes to overriding the warnings as well as the violation alerts. There are reason codes for this matter. This is another compliant ELD which is simple, flexible and very affordable. It is pretty much a plug and play solution which comes with apps for iOS and for Android. It is going to connect seamlessly and make it completely effortless for the driver to set up. It is going sync in automatically as well – there is literally nothing complicated with it. There is real-time HOS follow up as well as comprehensive fleet tracking. This is a cloud-based operation and it is specifically designed to work as a dedicated or a BYOD solution for iOS and for Android. It is one of the most comprehensive apps on the market for that matter and it is going to cost you between $450 and $700 based on the capabilities and the hardware that you need. That’s the initial fee and there is a $20 monthly fee. This is another very convenient solution for your ELD situation. If you are looking for something comprehensive, this is a device which integrates awesomely and it is a very easy FMS – fleet management system. It comes with all the necessary and efficient metrics that you might be looking for and it is quite robust. This is a product which is pretty much a monitor for your electronic logs. The company says that it has managed to audit more than 1 billion logs for hours of service without making a mistake. This is definitely something substantial. ELD Solutions are a great source of ELD-based devices which are customized. These are specifically designed to ensure compliance to a full line of different features which include IFTA accounting, GPS tracking and telematics. There is no upfront cost and you will get a power cord, case, tablet, ELD module, set-up procedure or a direct installation. There is, however, a direct opening monthly subscription fee. This is another FMSCA compliant device and it is designed with a driver-friendly display which has splendid data-transferring capabilities which are going to facilitate the roadside enforcement as well as reduce the administrative paperwork and time. 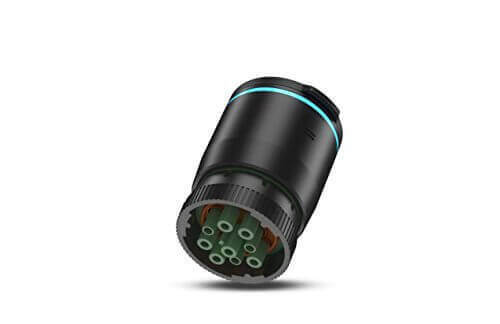 This is an intuitive in-vehicle digital device which is going to stay in the truck or other type of vehicle and synch with the engine in order to record HOS automatically. It has a touchscreen and it’s going to let the drivers view, add and edit notes to all of their logs. It would also allow them to easily present the status throughout the roadside inspection. This is a system which bundles an alerting, reporting and GPS tracking device all together. It is hardwired to an Android tablet that’s designed with a very intuitive user interface. The device is also going to provide you with messaging capabilities for the drivers and the dispatch in order to reduce the unnecessary amount of phone calls. This is a device which features a web-based management portal that’s accessible through a PC, smartphone or a tablet. The initial cost starts at $650 and there is a $34.95 ongoing monthly fee. You can also rent. This is a compliance solution which is intended for fleets which are smaller and usually owner-operated. The device has an ELD solution as well as a fully functional AOBRD solution which is going to provide you with e-logs right under the necessary regulations. They are editable and this allows for less data to be sent which is quite convenient. The device is very simple to use, quickly integrated and it comes with a wide range of interesting benefits. This is another compliant ELD which offers comprehensive solutions and packages for small and for large fleets. The package is very convenient and it includes logbook application, free logging devices, DVIRs, a monitoring web portal for the fleet manager, a dashboard for compliance, GPS tracking and others of the kind. As you can see, when it comes to it, there are quite a lot of different choices of electronic logging devices. FMSCA approval is necessary for them to be compliant. All of the above have it. These are going to make your life a lot easier, regardless of you are in management or if you are the driver. The devices and the apps are intended to ensure that the proper and legally allowed amount of hours is being services so that the driver doesn’t get tired and fatigued. This is something very important and it is necessary to ensure that everything is handled as per the highest regulatory standards. It goes without saying that an ELD is going to bring tons of merit to your trucking company and it’s going to spare you a lot of headache. Without thinking too much, you should also be aware of the fact that they are becoming the necessary industry standard which means that you wouldn’t have the chance to choose whether or not you want to go for it anymore. This is something that you would most definitely have to account for when it comes to it in order to ensure that everything is handled properly.